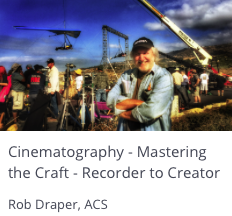 COURSE #1 – CINEMATOGRAPHY – TAKING COMMAND OF THE CRAFT – FROM RECORDER TO CREATOR. 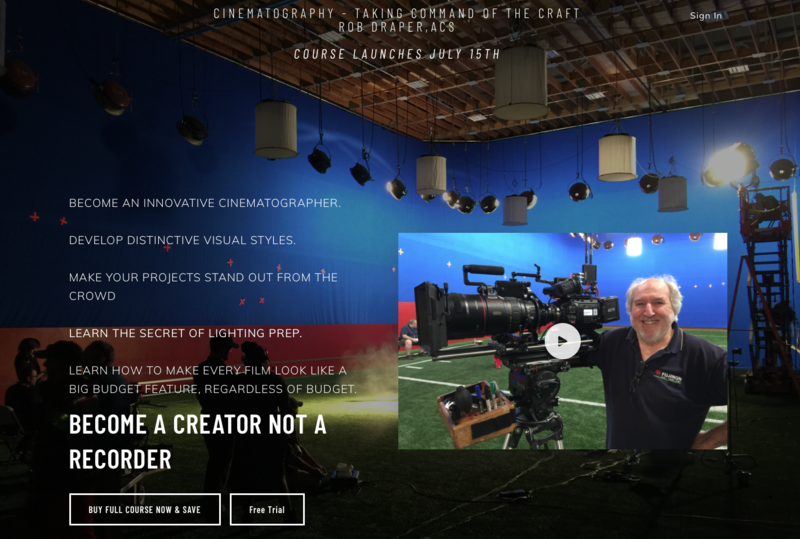 If you are a cinematographer on a plateau, an aspiring cinematographer or a student of cinematography you should take a look at my new online course. Over a 40 year career I have seen and worked in film, video , HD and Digital. In many cases I helped in the development of the camera systems and filmstocks. All that gives me a pretty good insight into what you need as a Cinematographer to deliver innovative and creative work. Setting up individual, great looking shots is easy but developing and maintaining lighting continuity and a strong visual style require a special understanding and set of skills. This course teaches that. CLICK HERE to take a look at the course website. I have been using the techniques for many years and have “taught” them, in workshops to more than 3000 DP’s worldwide. If you are so excited you just want to purchase the course at the discounted price Click on this image.